Our bench top impulse bag sealers are easy to use, ergonomical and an attractive way to package a variety of products from foods to clothing. 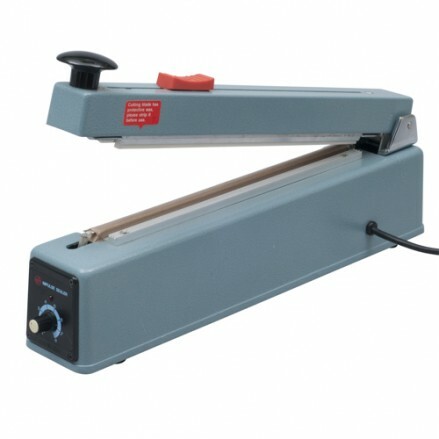 The impulse sealers only consume power when the sealing arm is depressed. 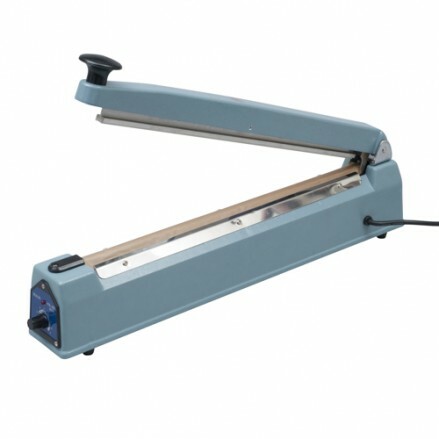 All spare parts are available from stock, see our Spares Parts section. 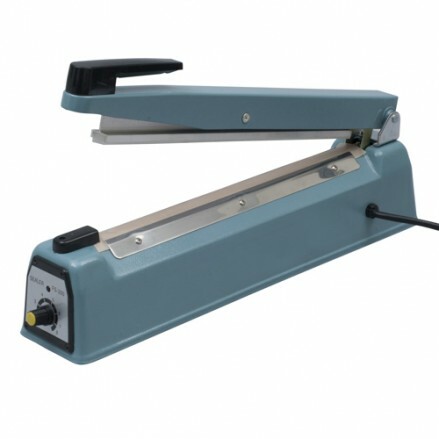 300mm single bar bag sealer - Available with round or flat wires Impulse sealer..
300mm single bar bag sealer with Cutter - Available with round or flat wires Im..
400mm single bar bag sealer - Available with round or flat wires Impulse sealer..